May 18, 2017: Note: Chevrolet India will discontinue sales of all of its products in India effective December 31, 2017. Its Indian facilities will be utilised for export markets only. In the month of December, Chevrolet is offering benefits of upto INR 55,000 on its recently-updated Sail series (hatchback and sedan). Powering the updated offerings are a 1.3 litre SDE SMARTECH turbocharged diesel engine and a locally developed 1.2 litre SMARTECH petrol engine. The diesel engine produces 74bhp of maximum power at 4,000rpm and peak torque generated is 190Nm from 1,750rpm. While petrol mill puts out 82bhp of maximum power at 6,000rpm and a peak torque of 108.5Nm at 5,000rpm. 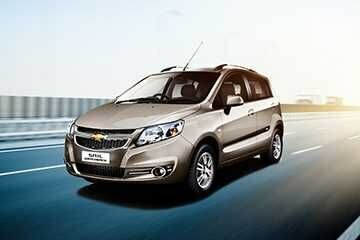 The claimed ARAI mileage: Chevrolet Sail Hatchback Diesel is 22.1 kmpl | Chevrolet Sail Hatchback Petrol is 18.2 kmpl.